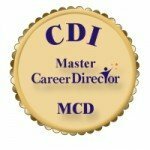 Congratulations on taking this powerful step to pursue your Master Career Director (MCD) designation! Download the MCD Reporting Form, which has the full instructions and a template to use for cataloguing your submissions. Note that you must fulfill all required areas. In some cases we may be able to consider shifting an over-abundance of criteria in one area to another. If you have any questions, send them to info@nullcareerdirectors.com.